As seen in Cosmopolitan magazine (May 2009 issue, p92). Love In Black tells the story of a mysterious woman, her eyes hidden behind black sunglasses, her dark hair under a velvet riding cap, and the elegance of her signature chic "little black dress." Love In Black blends ingredients from places loved by worldly, well-traveled womenincluding violet, Virginia cedar, Florentine iris, and blackcurrant. 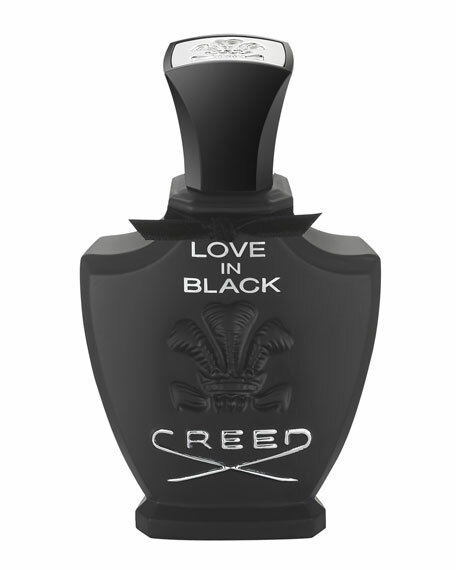 A daring, floral fragrance full of spicy warmth and mystery, Love In Black is presented in a bottle made from black volcanic sandelemental, powerful, and unapologetic.